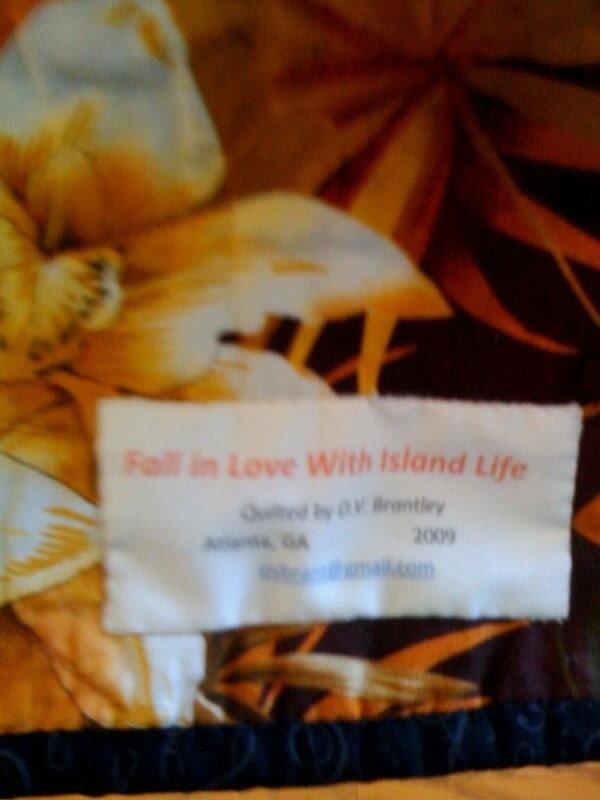 Fall in Love WIth Island Life is a quilted wallhanging that measures 46 x 64 inches. 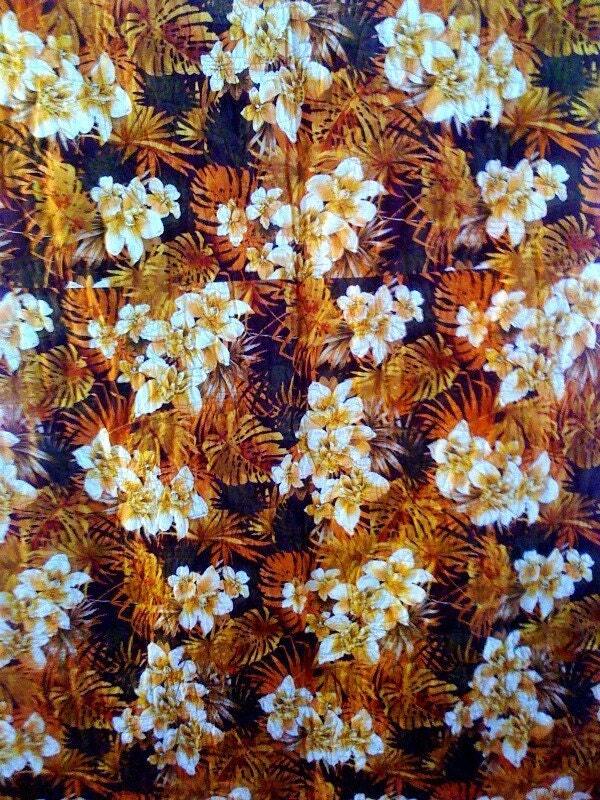 The piece gets its name from the strong fall colors that are bordered by a tropical print. The dominant colors are gold, green and brown. 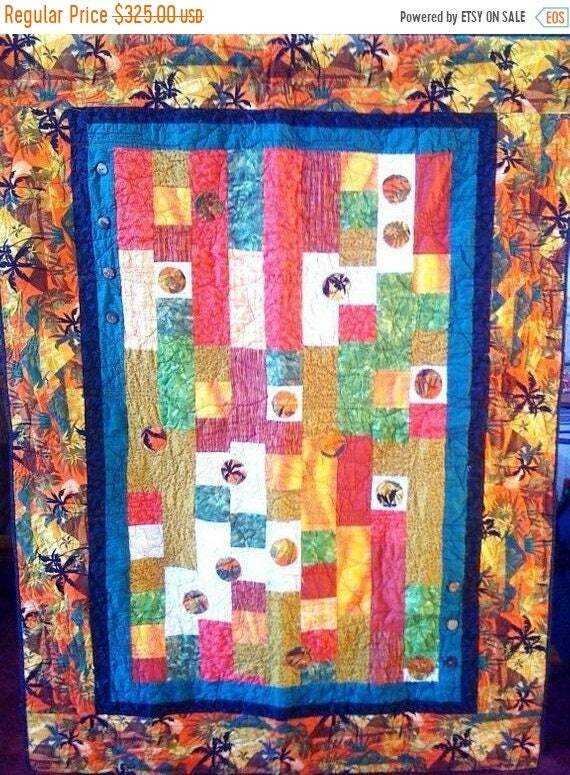 The theme is further carried out by the quilting with clouds, rays of sun and palm trees quilted into the background of the quilt. It is embellished with buttons. 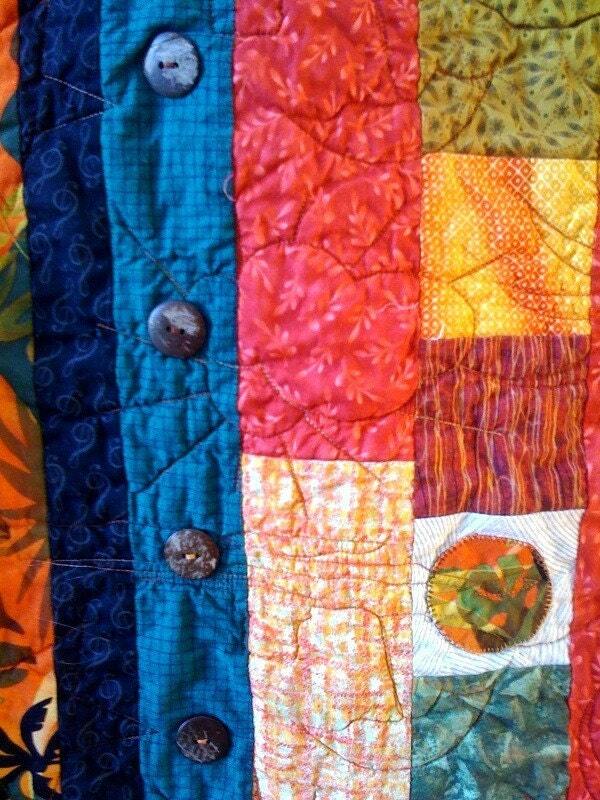 There is a hanging sleeve on the back of the quilt as well as a label that documents the quilt. 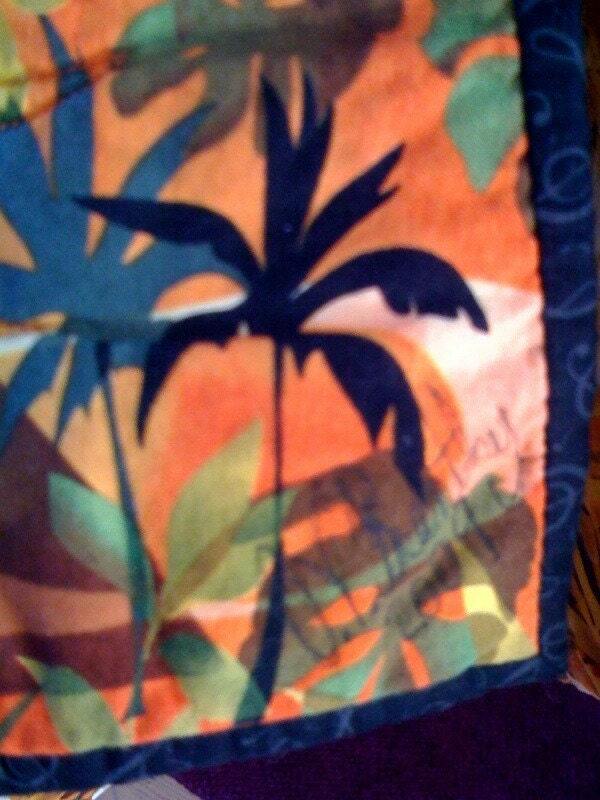 The front of the quilt is signed by the quilter O.V. Brantley.